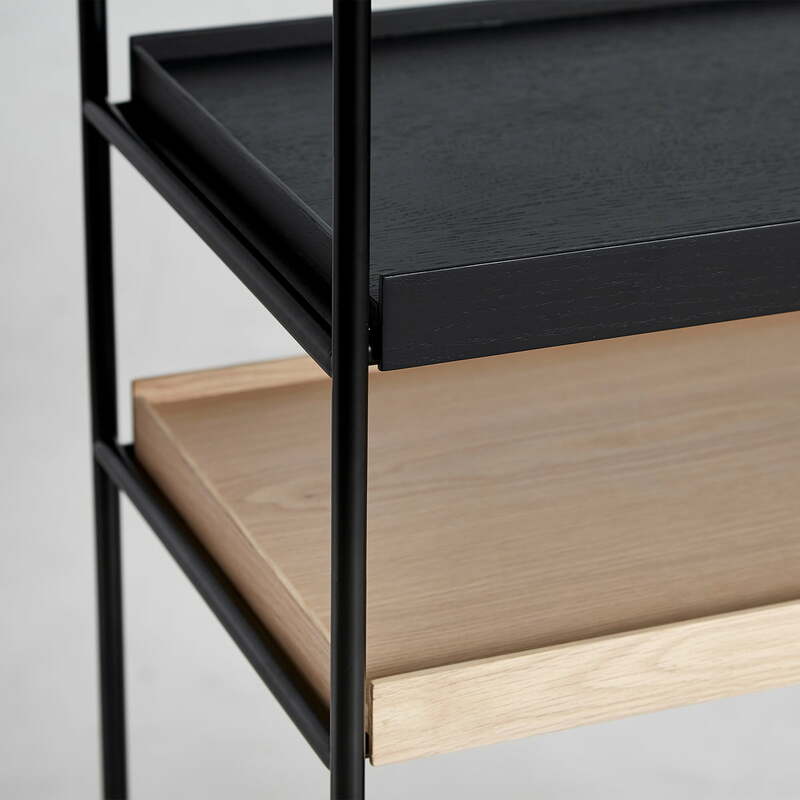 The Woud Tray Shelf was designed by Hanne Willmann and is a flexible shelving system with sliding shelves. 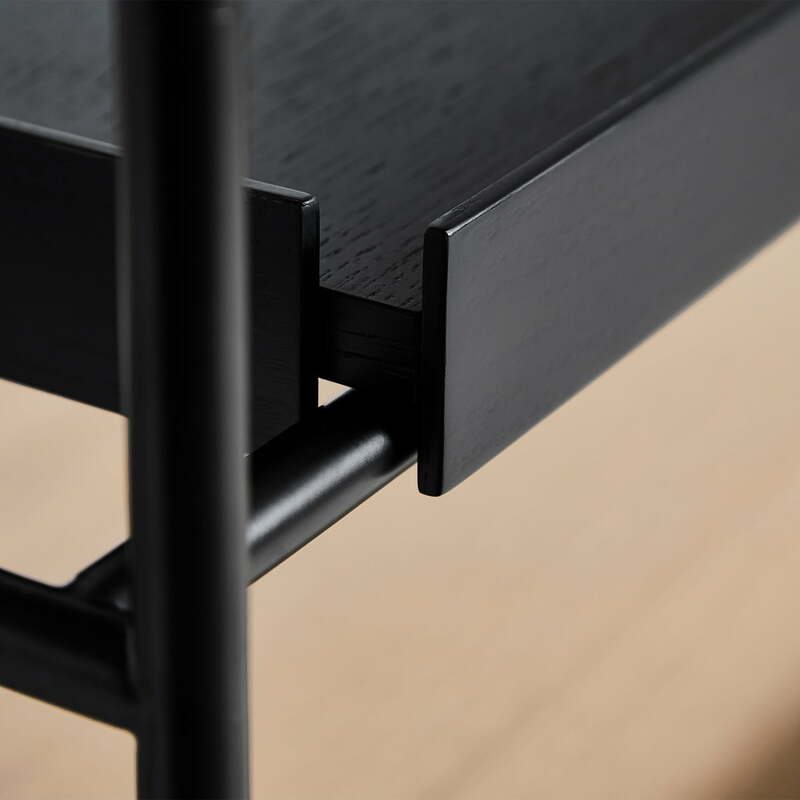 Each tray shelf consists of a steel frame. The shelves are made of oak wood. 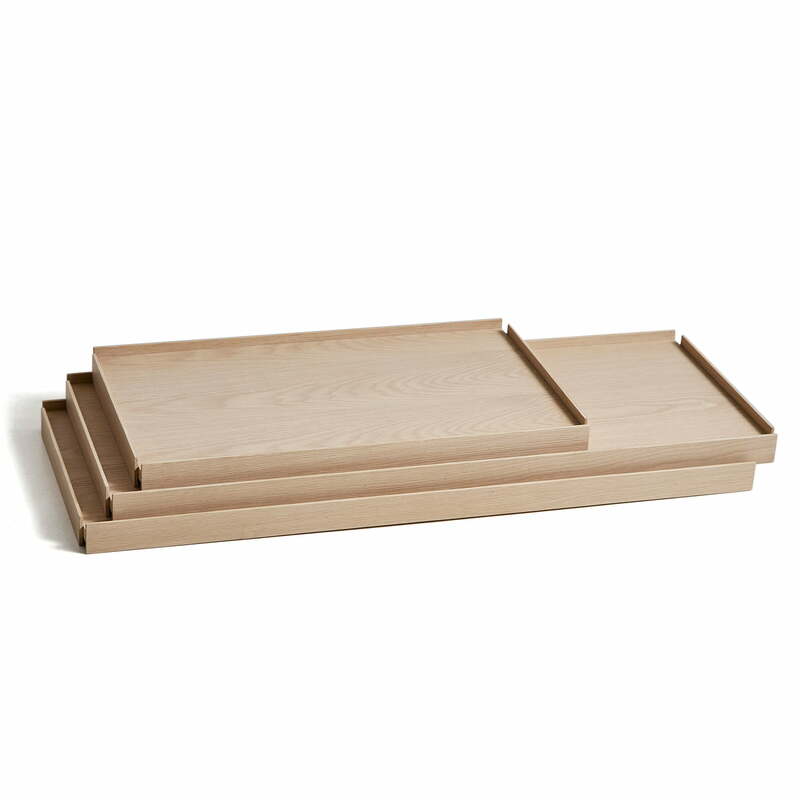 Depending on the size of the shelf, Tray has one or more short or long shelves that can be moved as desired. Gaps in the shelving system occur when the small trays are moved. Thus it is possible to place larger objects in the resulting free space. 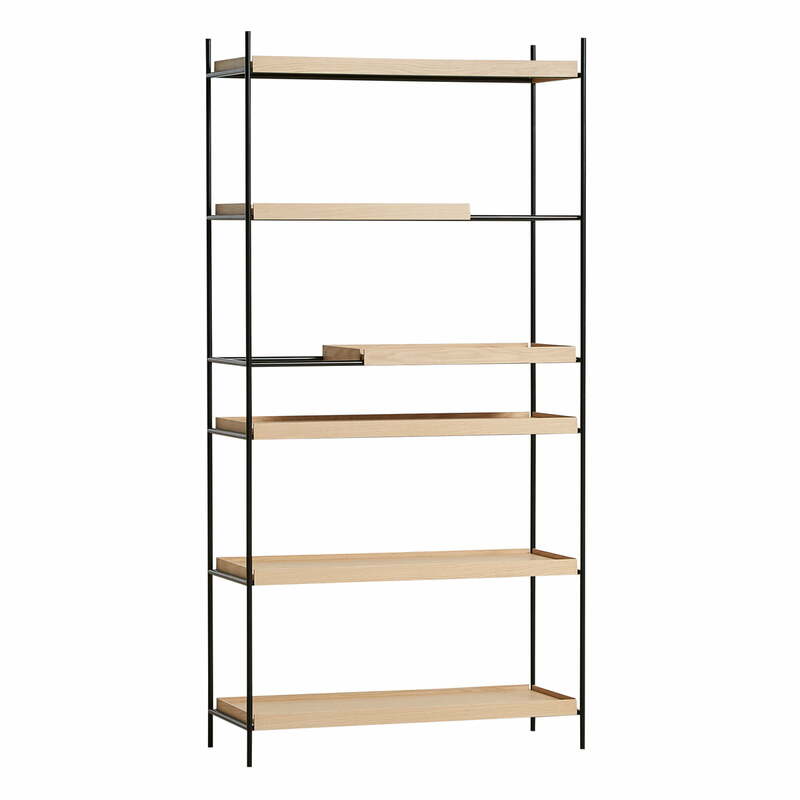 The different arrangements of the shelves make the shelving system lively and personal. All trays can be arranged in any order until the desired configuration is achieved. The shelf blends Japanese, elegant expression with a typically German solid and thoughtful construction. 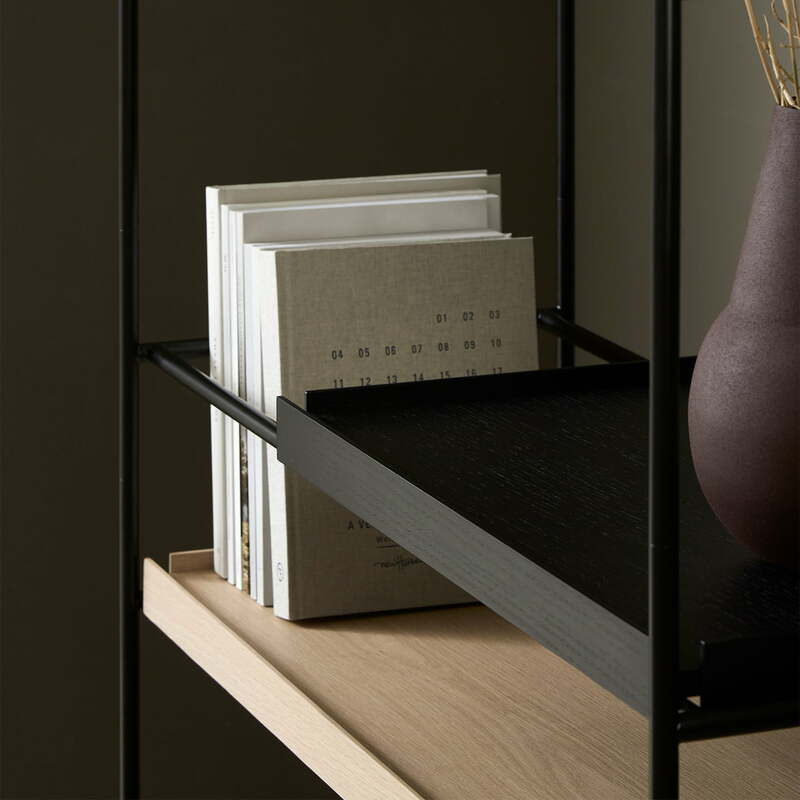 The Tray Shelf is available with either black lacquered or natural oak floors. 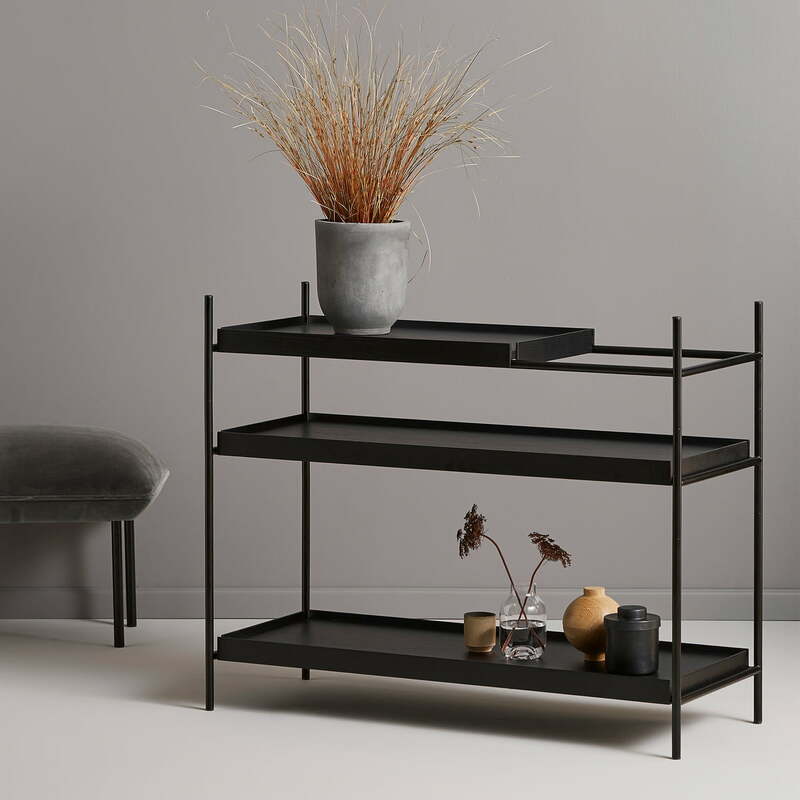 Designed with two long and one short shelves for the low console table and four long and two short shelves for the high shelving system. Tray Shelf low by Woud in ambient spawning. 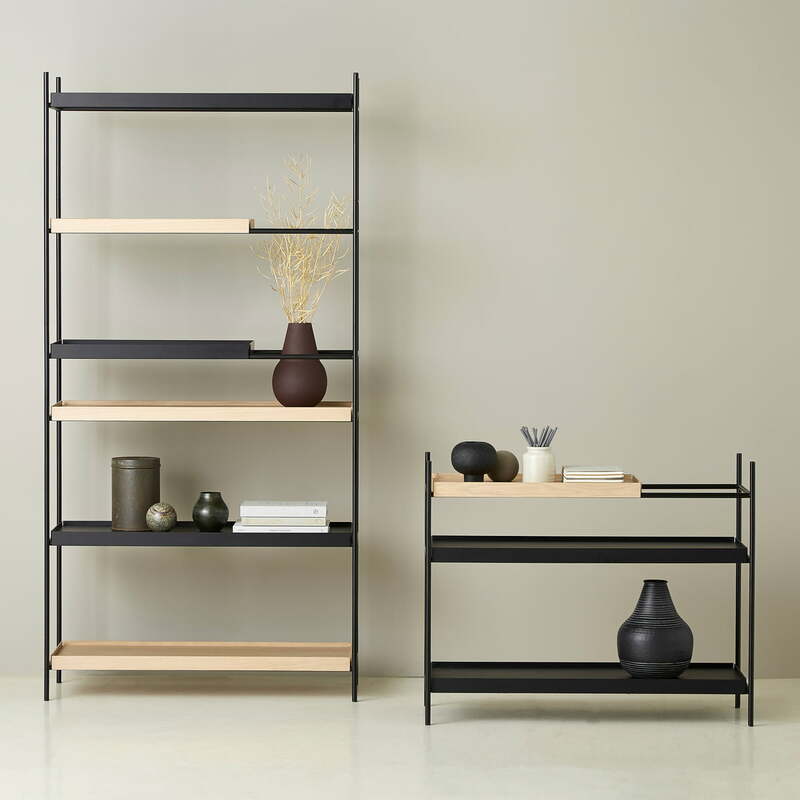 The different arrangements of the shelves make the shelving system lively and personal. All trays can be arranged in any order. Tray Shelf high and low of Woud in the ambience view. Depending on the size of the shelf, Tray has one or more short or long shelves that can be moved as desired. Tray Shelf of Woud in the ambience view. Gaps in the shelving system occur when the small trays are moved. Thus it is possible to place larger objects in the resulting free space.